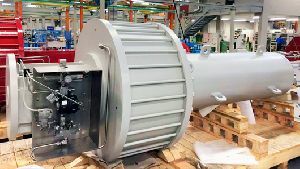 Rotork fluid power valve actuators have been ordered for multiple applications at a new grassroots refinery under construction in the Middle East. With a capacity of up to 400,000 barrels a day, the refinery will process crude oils to manufacture petrol, ultra-low-sulphur diesel and fuel oil for export and to satisfy local demand. One significant order involves the supply of 70 LP range linear pneumatic actuators for the operation of large gate valves. The order for these actuators includes the assembly and factory testing of local control panels with digital valve positioners. Rotork LP actuators are individually sized for each application in double-acting or spring-return configurations. Carbon steel cylinders are electro-less nickel plated to provide minimum friction and maximum protection against corrosion. Careful attention to seal materials on pistons and piston rods further reduces friction and avoids stick-slip effect even after prolonged periods without operation. In other areas of the site, over 200 Rotork GP and CP range pneumatic actuators are being supplied for the operation of butterfly valves in desalination and wastewater treatment plants. These scotch yoke actuators are designed to provide part-turn movement for isolating or modulating duties. A rugged, compact and efficient modular design is common to both ranges, yielding high torques even at low pressures. The design concepts of the large GP actuators are applied to the CP range, bringing heavy-duty actuator qualities to small, quarter-turn actuators. These orders also include the assembly and testing of local control panels, in this case including Bifold pneumatic instrumentation and Soldo switchboxes, both Rotork brands.